In this explanatory paragraph, a third grader explains how to pull a tooth. To pull a tooth fist try by eating hard food. then I tye my tooth to the dor. Ushely this werks. But if not try the old fashen way. 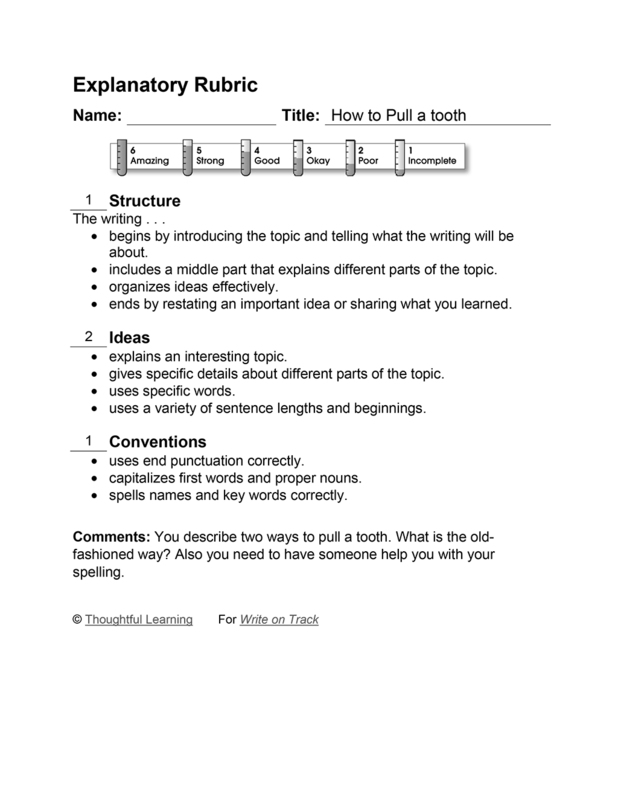 How to Pull a tooth by Thoughtful Learning is licensed under a Creative Commons Attribution-NonCommercial-ShareAlike 4.0 International License. Based on a work at k12.thoughtfullearning.com/assessmentmodels/how-pull-tooth.